Todd Dery and Corey Anders of Durable Packaging International speak about some of their great product lines. Durable is ready to help you grow your foil and wax paper sales as well as increase your profits in these categories. 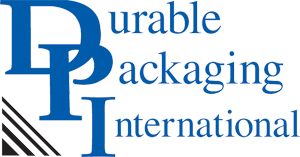 Durable’s expertise in the manufacturing and marketing of wax paper, aluminum foil and plastic products is THE BEST in the business. We look forward to working with you in 2015 and beyond. Whether it’s Foil, Plastic or Paper, Durable’s Got You Covered…Good Selling!